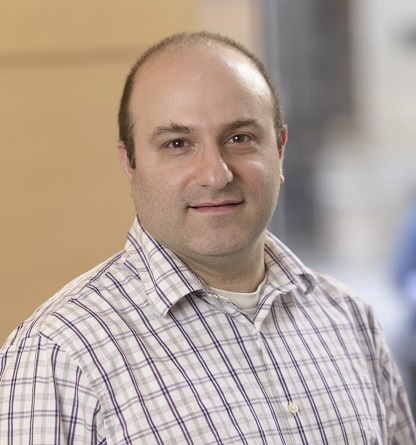 The Society for Immunotherapy of Cancer (SITC) is pleased to announce Jonathan Peled, MD, PhD, of Memorial Sloan Kettering Cancer Center, as the recipient of the SITC-Merck Cancer Immunotherapy Clinical Fellowship Award. This award supports the development of the next generation of immunotherapy experts through dedicated funding of novel research. With a shortage of U.S. physicians specializing in oncology predicted to occur by 2025, it is important now, more than ever, to secure the future of cancer immunotherapy research. Established through a strategic partnership between SITC and Merck, this one-year, $100,000 award comes at an extremely important time in cancer research as immunotherapy, a type of treatment that uses the power of an individual’s immune system to recognize and attack cancer cells, is shrinking tumors in several cancer types and allowing patients to live longer when compared to other standard of care treatments such as radiation and chemotherapy. The SITC-Merck Cancer Immunotherapy Clinical Fellowship Award is provided by SITC’s Forward Fund and supported by an independent educational grant from Merck (known as MSD outside the U.S. and Canada). Established in 2012, the Forward Fund aims to stimulate the future of the science, development and application of cancer immunology and immunotherapy through financially supporting its education and research. “Following the completion of my fellowship, I plan to continue my career in hematologic oncology, with a focus on understanding the basic mechanisms of the diseases and treatments. I also plan to continue my work in directly caring for patients who receive bone marrow transplants,” said Dr. Peled. Dr. Peled was recognized for this fellowship during an Awards Ceremony on November 7, 2015 as part of the SITC 30th Anniversary Annual Meeting & Associated Programs held in National Harbor, Maryland, November 4 – 8, 2015. Click here to stay up-to-date with the latest SITC fellowship announcements and other funding opportunities from the society.